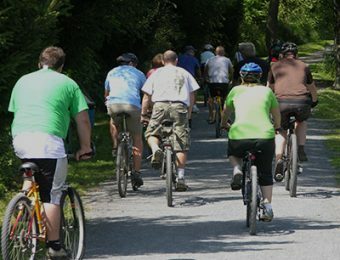 The National Canal Museum is dedicated to telling the story of America’s historic towpath canals. 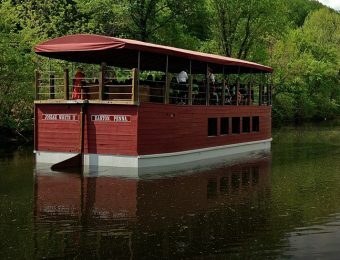 The museum occupies the first floor of the Elaine and Peter Emrick Technology Center in beautiful Hugh Moore Park, a 520-acre City of Easton park nestled between the Lehigh Canal and Lehigh River. The National Canal Museum interprets the history and culture of canals as well as the science and technology behind their building, through exhibits and hands-on activities. 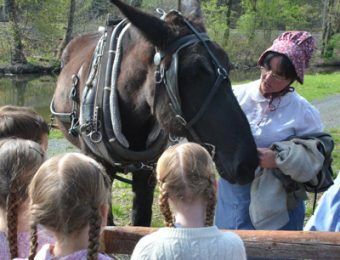 Children and adults can harness a mule, steer a canal boat, and engage in activities that help them learn how canals were built. The museum has an outstanding collection of scale model canal boats and tools used in the boat-building business. There is also a water table where visitors young and old can build their own canal system, and exhibits interpreting canal life and canal-related industries.